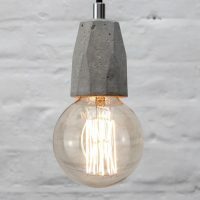 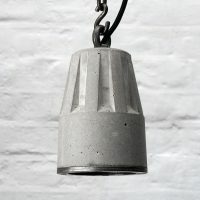 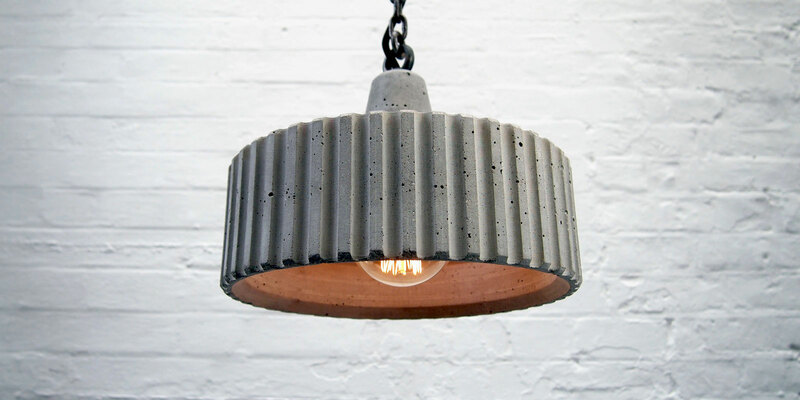 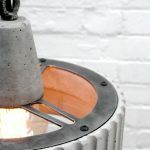 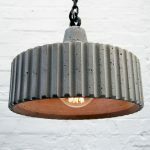 Constructed in two sections, the upper section houses the porcelain E27 screw fitting and is connected to the lower fluted ring shade via the spoked steel ring plate. 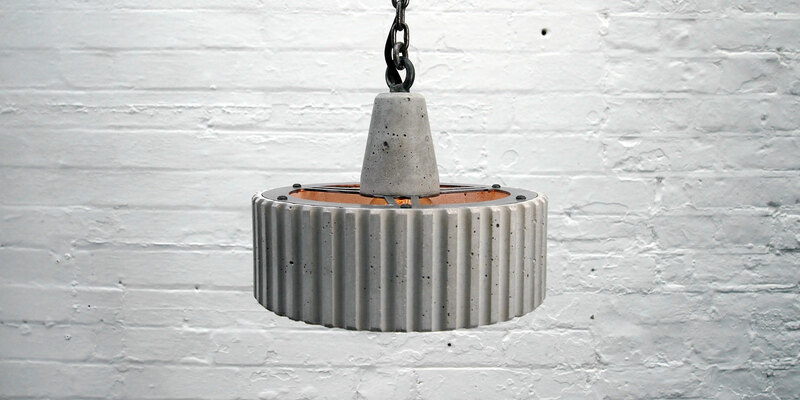 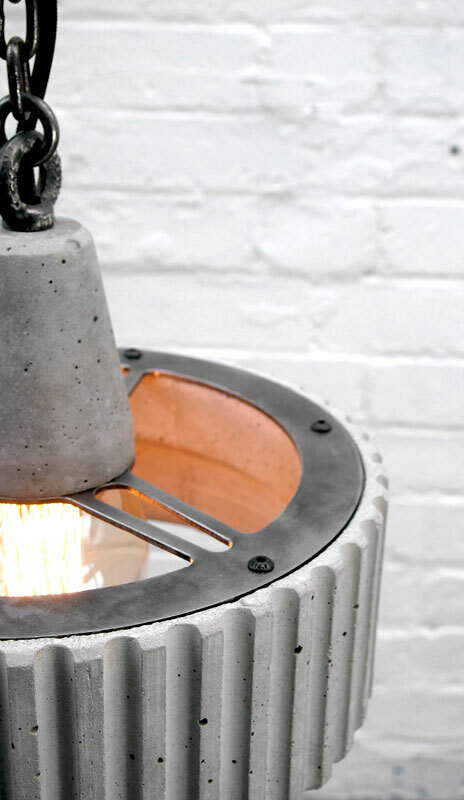 The connections are made by threaded inserts set into the concrete during the casting process. 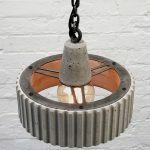 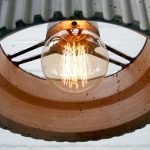 The dimensions are: Shade diameter 288mm by 100mm in height, and the overall height to the top of the eye nut is 233mm The light is suspended by a steel eye nut and 30x20x5mm steel chain. 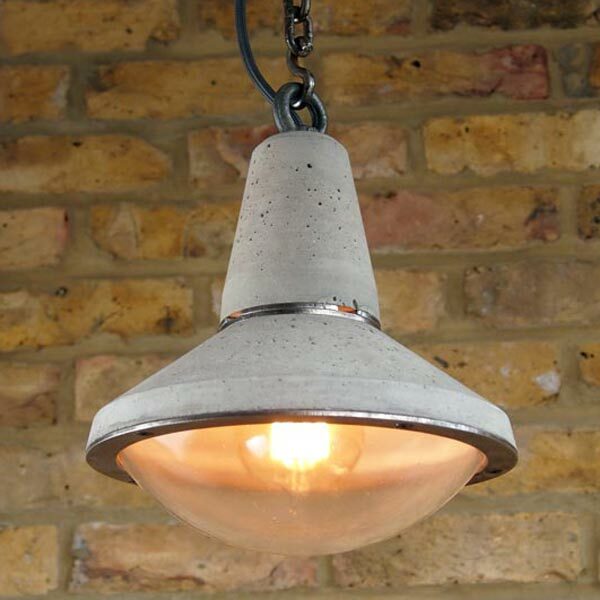 4 flex colours and 3 standard lengths available. 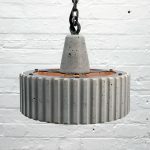 Adjust on the cart page to suit, the chain length will be supplied to suit the flex length selected. 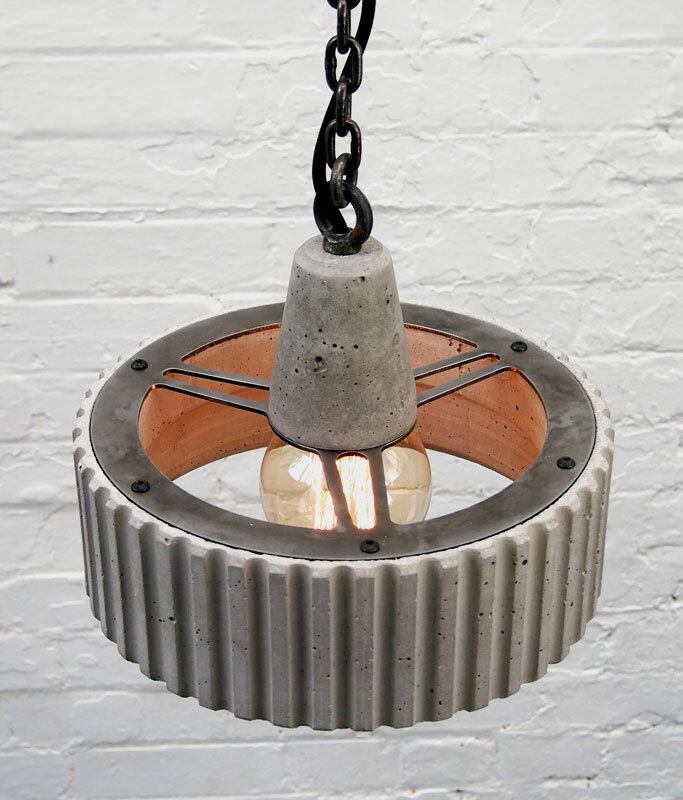 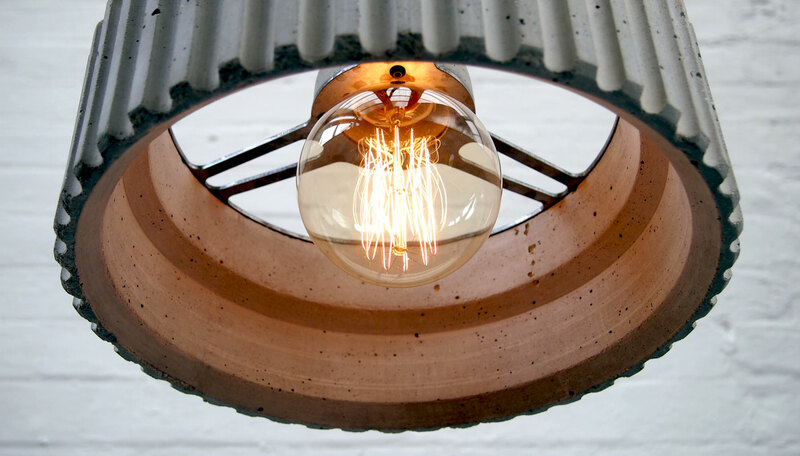 You can also add a ceiling rose in the cart if required, two types are available: industrial steel conduit or concrete and steel, both are available with a hanging hook for the chain.